iTel A42 Plus was launched before iTel went bezel-less with the A44 and A44 Pro smartphones. The A42 Plus comes with perfect specs for light users and might just be the perfect budget smartphone you’ve been looking for. Coming wih a rear fingerprint scanner that enables easy access to private apps and the phone in general. Internally, the 2GB RAM, 16GB storage and 4G LTE connectivity might just seal the deal. 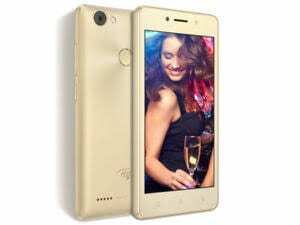 Want to know more about the itel A42 Plus? Stay with me. 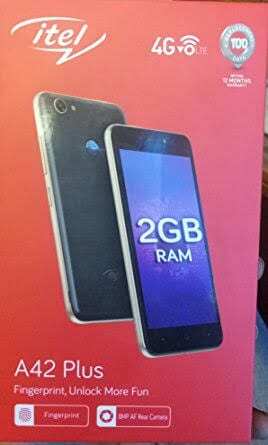 What is iTel A42 Plus Price and Availability Status? The Plastic body is removable likewise the battery, the fingerprint scanner dominates the rear features on this budget beauty. The rear camera and LED flash sits horizontally at the top left corner, giving the device a classy look. At the bottom corner, there’s a loudspeaker for quality music and bass, while the iTel logo is visible as well. Measuring 9mm in thickness, which is not surprising for a budget device. You can get the budget device in Blue and Gold colors only. Just like most budget smartphone from the company, the A42 ships with lots of bezels. The three navigation buttons at the bottom bezel enables easy navigating through the device. While the top houses the selfie camera and usual features. The 5-inch FWVGA IPS LCD capacitive touchscreen displays like a budget device. With a resolution of 854 x 480 pixels and 196 pixel per inch density for standard visuals with low quality. Unfortunately, the screen didn’t get up to 70% screen to body ratio, unlike the latest A44 smartphone. Behind the screen is a MediaTek chip with quad-core processor and 32-bit CPU architecture. The 4-cores of processor runs at a speed of 1.3GHz with 28nm process technology for smooth performance. Handling graphics is the Mali 400 MP2 graphics processor. There’s 2GB RAM space now for smooth multitasking through all your heavy tasks with a memory speed of 533MHz. For storage, 16GB storage space is available to accommodate all your files and apps. Upgrade further up to 32GB with a memory card, anytime you wish. The A42 Plus runs on Android 7.0 Nougat operating system with modified user interface. Explore your photography options with the 8MP rear camera which captures 3K resolution images with ease. The camera comes with other quality features and a LED flash for night photography as well. Take cute selfies with the 5MP selfie camera which has a LED flash for night selfies and video calls. Powering the iTel A42 Plus is a 2700mAh removable Li-Ion battery with no fast charging technology. Even without the fast charging feature, it shouldn’t take up to 2.3 hours to fully charge up the battery from 0% to 100%. 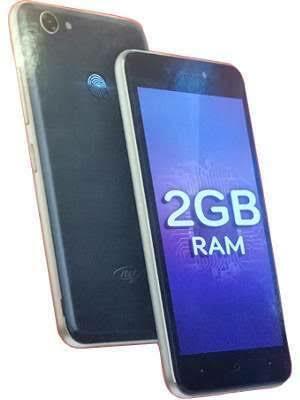 The iTel A42 Plus is available on Shopping stores from $79 (N25,000) to $99 (N35,000). Click on the links above to view the latest iTel A42 Plus price & availability on Shopping stores.